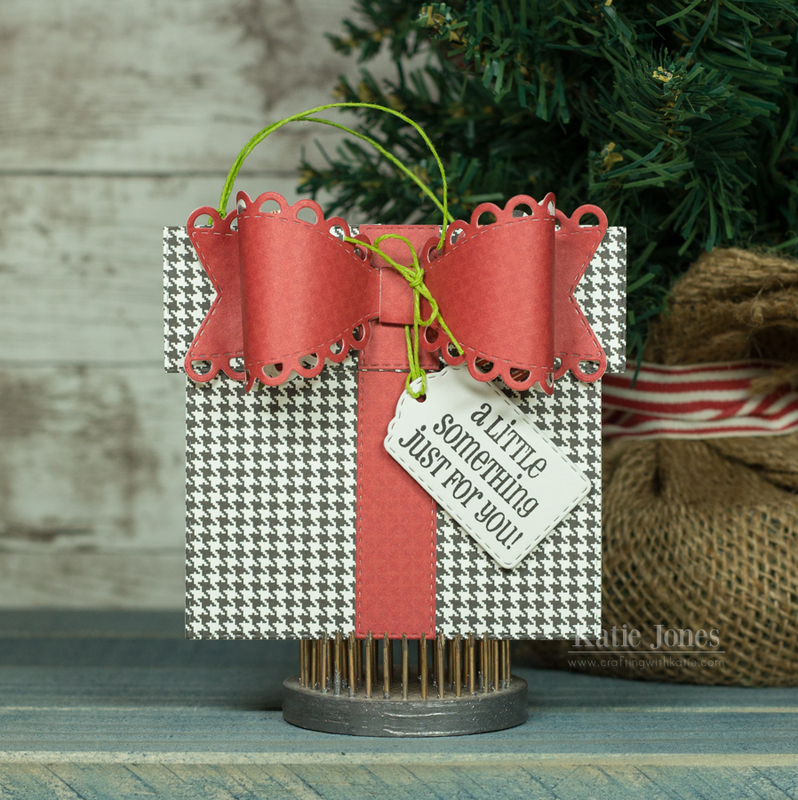 It's Tag It Tuesday with My Creative Time, and I thought it would be fun to make a tag shaped like a present for today's project! I used one of the Stitched Square Dies Inside & Out for the present, and one of the MORE Stitched Rectangular Dies to make the lid. I ran that die through the Vagabond twice, partially die cutting it each time to make a long narrow rectangle. That cute patterned paper is from Carta Bella's Christmas Delivery collection. The adorable bow was made with the Medium Stitched Scallop Bow Die, and I made some ribbon to extend the length of the package with one of the Stitched Decorative Banner Dies. Of course, every present needs a gift tag, so I used one of the Fun Stitched Tag Dies and a sentiment from Holiday Tags. A tag on my present tag! OMG Miss Katie...What an Adorable and Beautiful Tag. Love the plaid paper....the colors and your ever so clever & creative ideas using Miss Emma's Awesome Goodies. Thanks for the inspiration and great recipe!! YOU so ROCK!! WOW Katie - I love love this tag! Super cute and very creative. Thank you for sharing. Cute tag! Looks fast to make, too! Oh what a clever idea and it looks so cute. Great job with the creative die cutting. Love it!